The European research project B-SMART has achieved first results in the development of RNA-based nanomedicines to treat neurodegenerative diseases like Alzheimer's. The scientists succeeded in developing an effective nanoparticle with customisable characteristics which is now being tested in a preclinical trial. The nanoparticle development marks a crucial step on the way towards the overall research objective: to design innovative nanotechnological RNA delivery systems targeting the direct cause of the disease in the brain instead of only treating the symptoms. In order to ensure scalability and a safe transfer of the scientific results to the clinic, the researchers have been focusing on a reliable and reproducible nanoparticle production method based on microfluidics. "We are very pleased to see that our frontrunner nanoparticle behaves as expected," said Prof. Raymond Schiffelers from the University Medical Center Utrecht who coordinates the project. "With a slight advance in time, we are confident to move on to our next big challenge, which will be to demonstrate therapeutic activity in mouse models of Alzheimer's disease." The researchers are already working on the selection of the special nanobodies needed for the development of the so-called targeting ligands which enable the RNA-based nanoparticles to cross the blood-cerebrospinal fluid barrier and reach the affected brain cells. If successful, the RNA delivery system developed in B-SMART could be equipped with adapted RNA therapeutics targeting other incurable neurodegenerative diseases such as Parkinson's disease as well. Funded under the European Union's Horizon 2020 programme, B-SMART was launched in 2017 to find a novel causal treatment for neurodegenerative diseases such as Alzheimer's which affect over 7 million people in Europe. As the drugs available so far can only suppress the symptoms or delay further deterioration, the nine international project partners aim to find a way to deliver RNA therapeutics directly to the brain cells affected by the disease. In order to raise awareness for the potential of nanomedicine in combating neurodegenerative diseases and the unique B-SMART approach, the project has recently released a short animated clip outlining the scientific goals in an understandable and concise format. The clip is available on YouTube (youtu.be/Bm-xFbSnOeM) and on the B-SMART website. 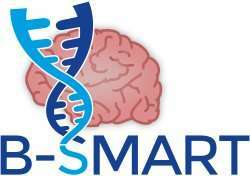 During their 3rd Progress Meeting in Rome, the B-SMART consortium will host a workshop disseminating the project's objectives to clinicians of the University of Tor Vergata on June 20, 2018. More information on both events will be available on the B-SMART website soon.